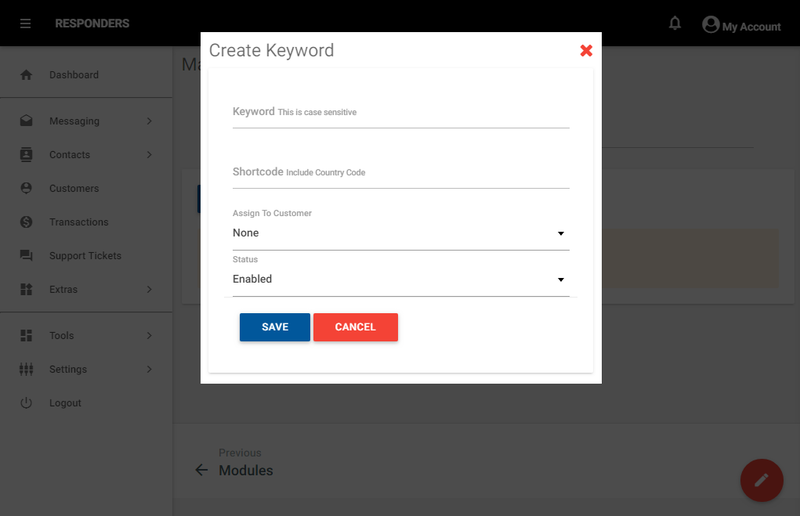 This module allows you to create many different keyword-based responses. 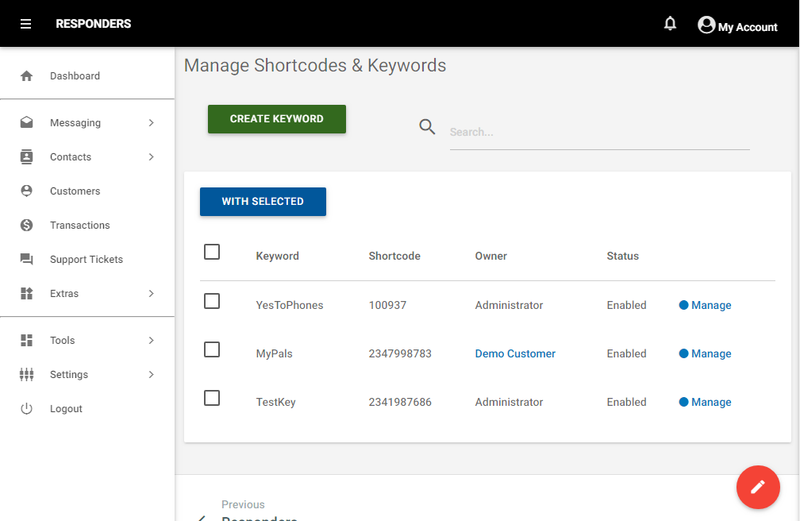 It allows you to configure automated replies to incoming sms messages based on keywords contain in the message. 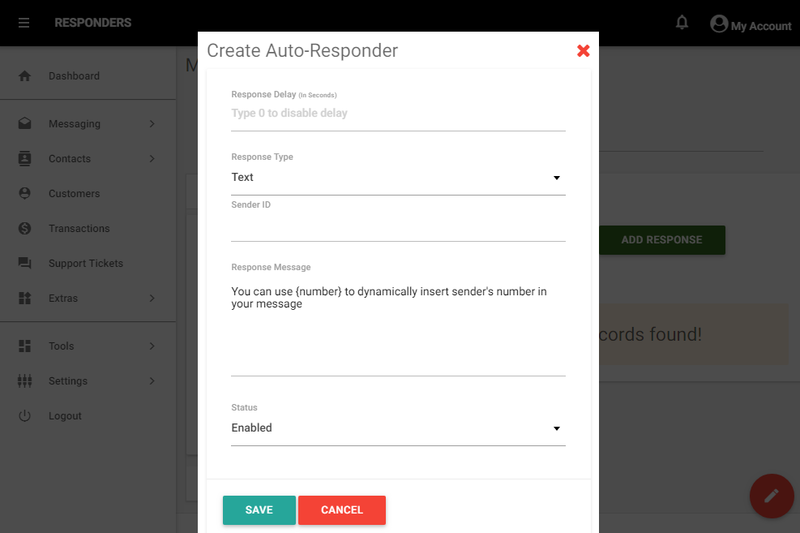 You option to set response message type to Text or WhatsApp for each responder as well as set time delay and sender ID too. 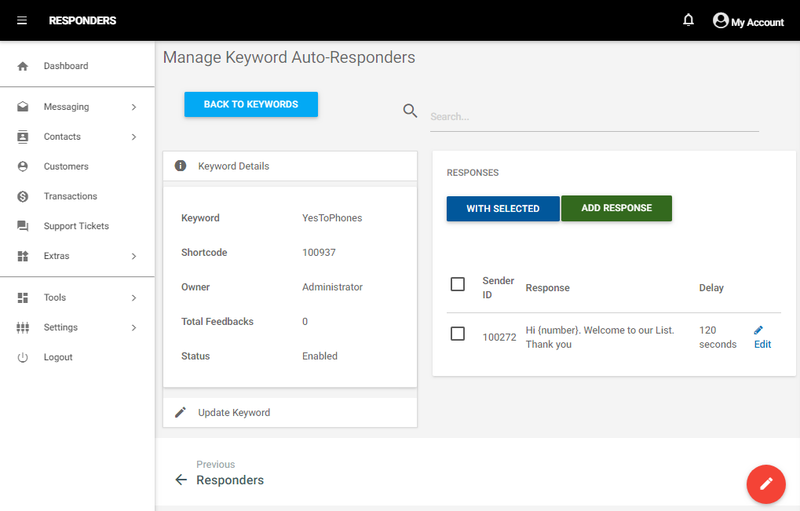 You can program many automated responses on each keyword and set when each response is to be sent. 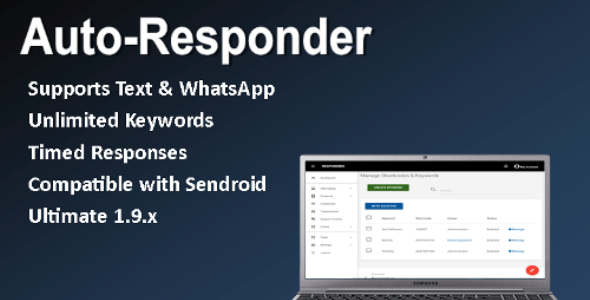 This add-on is compatible with Sendroid Ultimate 1.9.2 and above.